Publishers may have become familiar with audiences consuming content in unusual places in the increasingly mobile world. Indeed, the Economist, for example, has at least one subscriber who opts to access its content while swimming. That is made possible as the Economist is also available as an audio edition, a word-for-word recording of the print and digital edition, that subscribers can download via the Economist apps or from the website. Speaking at the PPA digital publishing conference in September, Neelay Patel, the Economist's digital vice president of commercial strategy, said that around 25 to 30 per cent of its reader-base is using the audio download option, with feedback showing that people are listening while on the train, in the car – and even underwater. The Economist has a number of audio offerings: the audio edition for subscribers, plus five podcasts every week, which are available to non-subscribers. Journalism.co.uk caught up with Tom Standage, digital editor at the Economist, to find out how they are created and accessed by audiences. Creating audio editions is "quite a challenge logistically", Standage explained, as it all needs to be done in an afternoon. Most pages of the Economist are not final and signed off until 11am on a Thursday and the audio must be ready for subscribers to download by 7pm, as the digital edition is published. The Economist uses an external company called Somethin' Else and broadcasters, many of them former BBC presenters, voice the written articles. "They have to do it in several studios in parallel," Standage explained. "They have about five hours to do the actual recording and then it has all got to be edited and labelled and packaged up." The audio edition is "very, very popular with our readers", Standage said. "We get a lot of feedback from people saying that it is how they stay on top of the information coming their way. "What the Economist really sells is the ability to keep up by acting as a filter that says 'this is what's really important'. And if you just read the Economist then you'll be informed. That's ultimately the product we are selling." And the main reason people cancel their subscription to the Economist is that they do not have time to read it and the magazines pile up, Standage added. "Audio is a very, very good way for people to read our content without having to read it." He added that its is "a very valuable retention tool" as it encourages people to consume the content in different ways. "It's easier to read an iPad when you are sitting down on a plane, but it's more convenient to read a iPhone when you are squeezed into a tube train. "The idea is just to leave it up to the reader to decide what the most convenient form of consuming the content is, and in many situations that will be audio." The Economist divides its products into two reading behaviours: "lean back", which is the print-like digital experience of tablets; and "lean forward", a website experience. Where lean back offers an "immersive, reflexive, browsable, ritualistic, finishable" experience, lean forward is about the web. The online readership is very social, with articles spread via social media, Patel told last month's conference. The lean forward approach of the website gives Economist readers additional features that are not included in the lean back edition, including blogs, multimedia and debates. As part of that the team produces five pieces of video and five pieces of audio a week. The podcasts are available for free to non-subscribers via iTunes, SoundCloud, 'Economist radio' on Facebook, a Chrome browser extension and the player on the Economist's website. A podcast is published on each weekday, with subjects including business and finance, culture, technology, world politics, and on Friday there is an analysis podcast called 'the week ahead'. 'The week ahead' offers "a primer of what to look out for in the week ahead and what to make of it". Standage said: "It all fits in with our mission of essentially equipping you with the tools that you need to understand the world and making you feel that you are on top of things and that you are informed about what is going on. "Essentially that's our mission overall, and the more noisy that the media environment becomes, the more news sources there are, the more demand there seems to be for sources like the Economist which act as a filter." Asked how many people are listening to the audio edition and podcasts, Standage said numbers are difficult to measure as some people stream the podcasts, others download the audio and the recordings are available on a number of platforms. "I have to confess that to some extent we are talking into the dark. We have numbers, they appear to be quite big, and they are going up." 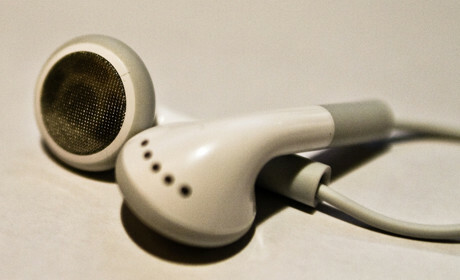 Podcast: Podcasting lessons from the Times, Economist and SoundCloud. Interested in podcasting? Nate Lanxon, editor of Wired.co.uk, will be running an audio workshop at news:rewired, Journalism.co.uk's digital journalism conference, on 6 December. Agenda and ticket details.